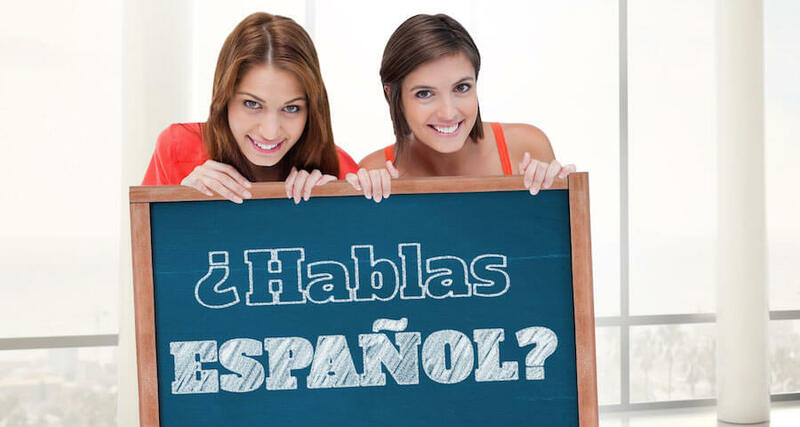 Home Blog Can You Become Fluent in Spanish by Making Errors? Learning a second language can be challenging. Even if it’s an “easy” language, reading a Spanish language book can still create a great deal of frustration as you work towards fluency. There’s nothing worse than thinking you’ve learned something, only to come back and get it wrong after hours of practices. Making mistakes and learning a foreign language seem to go hand-in-hand. Mistakes happen when you’re learning. And when you’re learning a new language, you’re going to make a lot more mistakes. It’s part of the process. So, is it realistic to try and avoid mistakes in your language program? Do you really need to make mistakes? Will you achieve fluency faster if you make mistakes while studying a foreign language? While it may seem like a pretty straightforward answer, that a mistake is simply a fault or an error in thinking that leads you to the wrong result, it’s not that simple. If you look at learning a language as if you were in the classroom, then mistakes will always seem bad. After all, too many of them will lead you to failing a project, test, or final. It can even cost you credit. However, outside of the classroom, language is more than a subject, it’s a means of communication. This can lead to a fear of mistakes as opposed to understanding them as part of the learning process. And this can create a huge obstacle if you’re only focus is on how to quickly and easily learn Spanish. After years in school, we see mistakes as marks against us that mar our performance. They damage our egos and ruin our self-confidence. In short, looking at mistakes this way takes away from the experience mistakes provides as a learning tool for our growth. Nowhere does this matter more than when learning a foreign language. You can use mistakes to gauge your progress while learning a foreign language. First, understand that you will make mistakes. And even so, the most important thing to remember about making mistakes is the reason you’re making them. It is because you’re actually using the language. Remember that many of the things you do today with easy, you stumbled through at the beginning. If you need a reminder, watch a child learn to walk. It is a wobbly process that involves many bumps and scrapes along the way until mastery is achieved. The same is true with language learning. Should You Actively Try to Make Mistakes When Learning Spanish? While learning to do anything is a process of attempts and failures, you don’t want to outright try to fail. Bumps and scrapes exist as a painful reminder to do better in the future. The same goes for learning a language. You’ll have to pick yourself up and dust yourself off from moments of miscommunication, faulty pronunciation, and embarrassing mistakes. However, by reflecting on the experiences, you can learn and grow. Don’t obsess over trying to speak perfectly. There’s a fine balance between actively making mistakes while learning and intentionally making mistakes. You want to learn the language correctly, first and foremost, and when you do make a mistake, you should keep it in the back of your mind to avoid making it again. Still, you don’t want to beat yourself up over it. Focusing too much on what you’re doing wrong and overanalyzing can increase stress and ruin your esteem, making you self-conscious about speaking in Spanish or another foreign language. Depending on what your goal is for when you use a foreign language, your mistake tolerance will differ from someone else. If you’re in a professional, academic setting, for instance, you’ll have a lost less tolerance for making mistakes than someone who’e learning a second language for a trip traveling through Spain. If you need language for a job, then you’ll have to be more accurate than someone who’s learning it for a hobby. Adults have a much harder time learning a foreign language than children for many reasons, but the biggest one when it comes to making mistakes is our desire to over-analyze. As a kid, you didn’t really care about making mistakes or looking foolish, especially when learning a language. You worked through it because your primary role was that of a learner. Adults, however, face the burden of self-esteem. We don’t like knowing we can’t do something well. We live in a society where we admire perfection over participation. And this is an obstacle as learning a foreign language means making many mistakes. It’s really not hard to see the likelihood that you’ll make mistakes learning a foreign language. Even just comparing it to speaking your own native language can reveal how complex a language can be. How many times have you made a mistake with grammar or pronunciation in your native language, even after years of speaking it? The key point to remember is that you need to establish realistic expectations. This means abandoning any notion of speaking perfectly. Your goal should be to communicate without reverting to your native language. The longer you study a foreign language, the more you can increase your goals. There is a great deal of self-correction involved in learning a second language. Keep this in mind as you continue to practice your second language. If you’ve ever traveled and talked to someone who’s native language isn’t English, you’ll see how they understand that making mistakes is part of the process. They’ll ask you how to say something, repeat, laugh it off, then remember and move on. It’s all part of the process. The more you work towards increasing your confidence in your target language, the more you’ll practice it and the closer to fluency you will become. Every change you get to use your target language is another step closer to fluency.